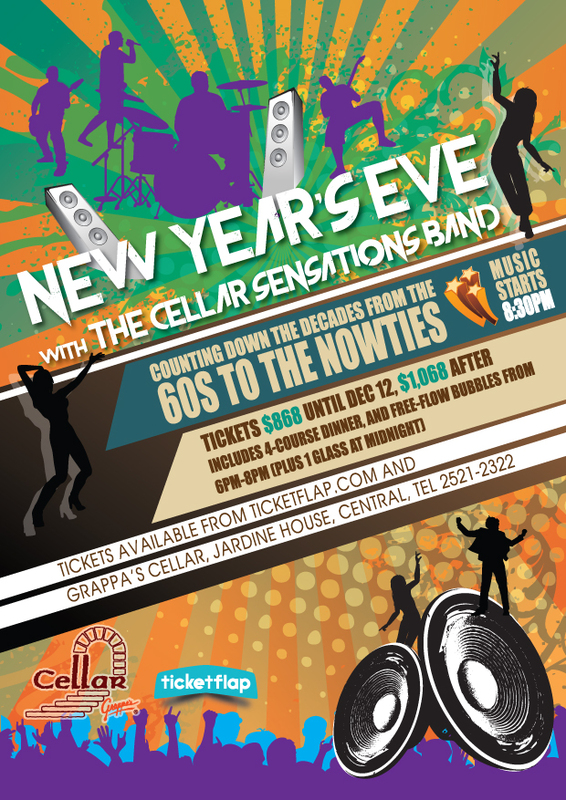 Get ready to boogie at Grappa’s Cellar this New Year’s Eve with a musical countdown through the decades! Tickets include a four-course dinner, with free-flow bubbles from 6pm-8pm (plus 1 glass at midnight). Grappa's Cellar will contact you about your tables after you have booked your tickets. For more info contact the restaurant at 2521-2322.